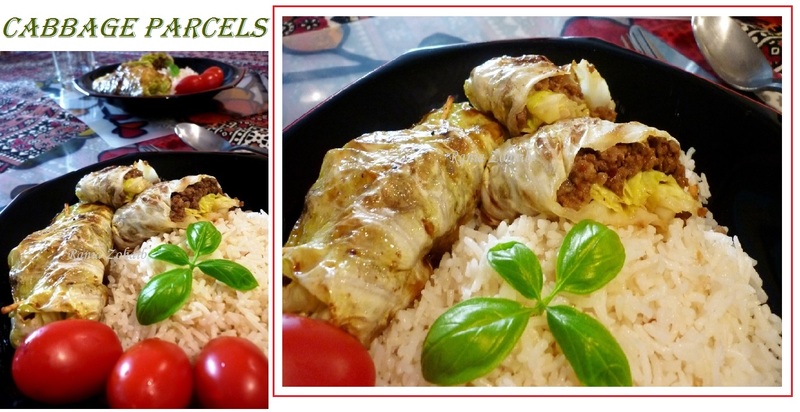 Cabbage; a wonderful Vegetable to enjoy raw or cooked. 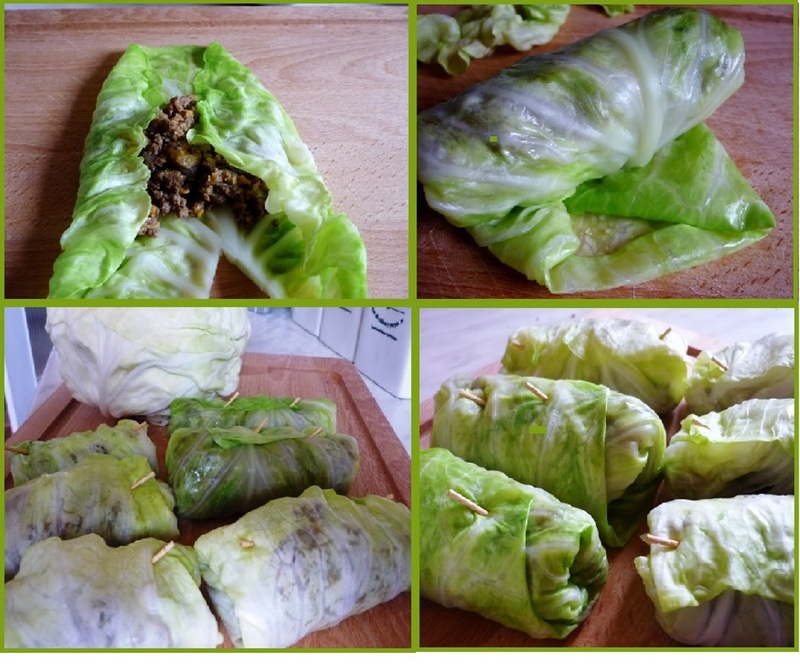 It’s nothing difficult, the effect Is the same, either to cut and make it with the minced meat or you roll it in the leaves. We all love eating Cabbage in raw form, few know the positive side effects of this great Vegetable.It is rich in vitamin A-B-C-K , a super supplier of Calcium, Magnesium and Iron.A special kicker for the metabolic system, a good helper for patients of Gout. Do include this in your weekly meals in a form of salad. I prepared the mince as we do it for any mince dish, you can find many recipes in the archives, just plain and simple for filling. Cut off the stem part as it is hard and won’t fold easily and then start filling each leave. I tuck a tooth pick on each end to seal it, many tie a thread too, but it holds firm if the leave is soft and wrapped tightly. I hardly used 2 tbs of fat in this as I took 1tbs butter and 1 tbs of oil. Why mixed oil in it?? This prevents the butter to burn or turn brown so I always spray some oil if I am using pure butter in anything being fried. You can have them with salad and any whole meal bread or with rice which is what I did. Have fun in making them and enjoy!